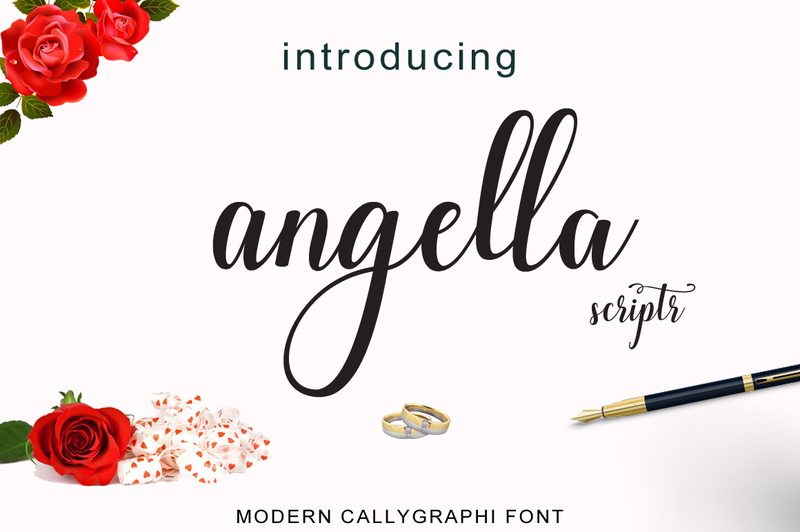 Angella Script is a stylish calligraphy font that features a varying baseline, classic and elegant touch. Angella Script is suitable use for market design developed at this time, this font has a model Trendy, natural and gentle, with this font you can take advantage of the opportunity in every moment of one wonderful way to highlight the celebration of the feast of your best, because this font will be advocates for purposes such as wedding invitations, party, graduation, birthday, gathering, etc. A font family published by Cooldesign Lab on Thursday, February 9th, 2017 that has 2,271 views so far.